Whether you are 10, 15 or 20 years of age, shooting a high power rifle or shotgun on your first experience could very well determine the decision to continue in the sport or move on to a less painful experience. You basically get ‘one shot’ to make a first impression in the minds of first time shooters. Felt recoil can easily persuade youth to move on to less impactful sports or even worse; video games. The experience will either be positive, setting the tone for years of shooting enjoyment or it will confirm their fears that shooting long guns is going to HURT. 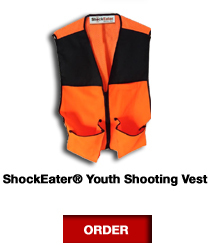 The ShockEater® Recoil Pad goes a long way in providing positive shooting experiences and encouraging first time shooters to stay with the sport. Looking down the line this will not only preserve participation in shooting sports, but it could have long-term impact as youth shooters grow up to be proud voters supporting our 2nd Amendment rights.. We feel it our responsibility to help in this effort by allowing youth and first timers to shoot in comfort and with confidence. 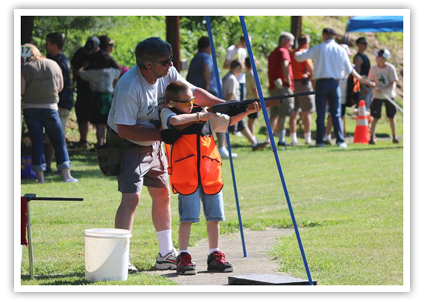 Providing this opportunity at a local shooting club, Boy Scouts, 4-H, or NRA sponsored events is just one way that we have to give back to the shooting community. 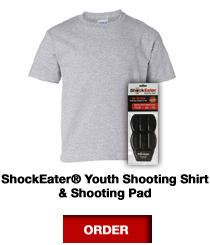 Special Edition Beginner’s Shooting Kits are available at discounted prices for trainers and fundraising opportunities. 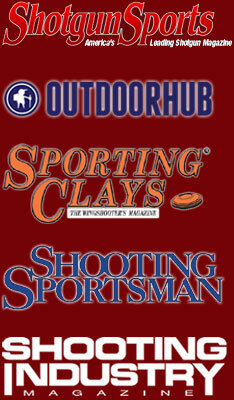 We hope it’s the start of a tradition and the beginning of a partnership with shooting clubs throughout the nation. Below are proud partners who join us in the mission to keep America’s youth shooting.